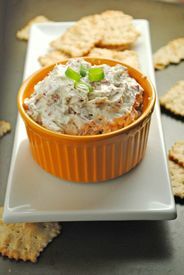 Perfect for your 4th of July celebration or next BBQ, this Beef jerky Dip is as unique as it is delicious! Best of all, it is soooo easy to make!! Combine all ingredients in a bowl and mix well. Refrigerate until ready to serve.